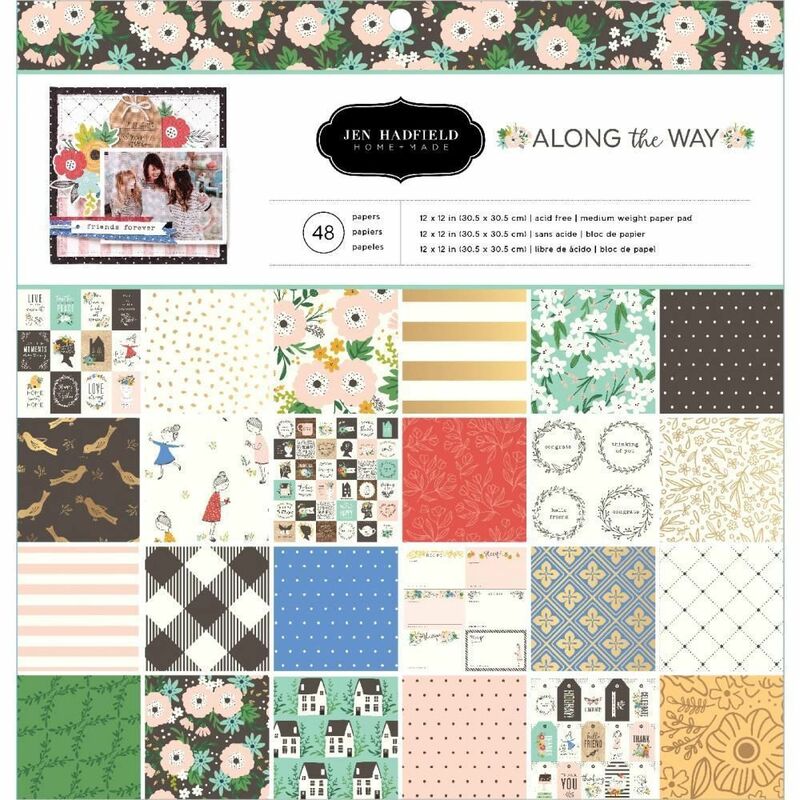 This 12x12 'Along the Way' Collection Paper Pad has forty-eight (48) Sheets of Decorative Paper. You'll find two (2) Sheets of each Designer Paper. Note: - - Some of these Papers in the Collection Pad are accented with Gold Foil. Part of the 'Along the Way' Collection by Jen Hadfield / American Crafts. Look for coordinating Embellishments and Designer Papers.